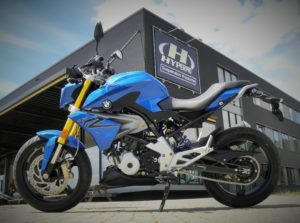 The last few years BMW has been extensively busy with the development and production of attractive, new motorcycles. One of their latest developments is the brand new G 310 R. This lightweight, nimble handling, attractively styled motorcycle will naturally appeal to novice riders. 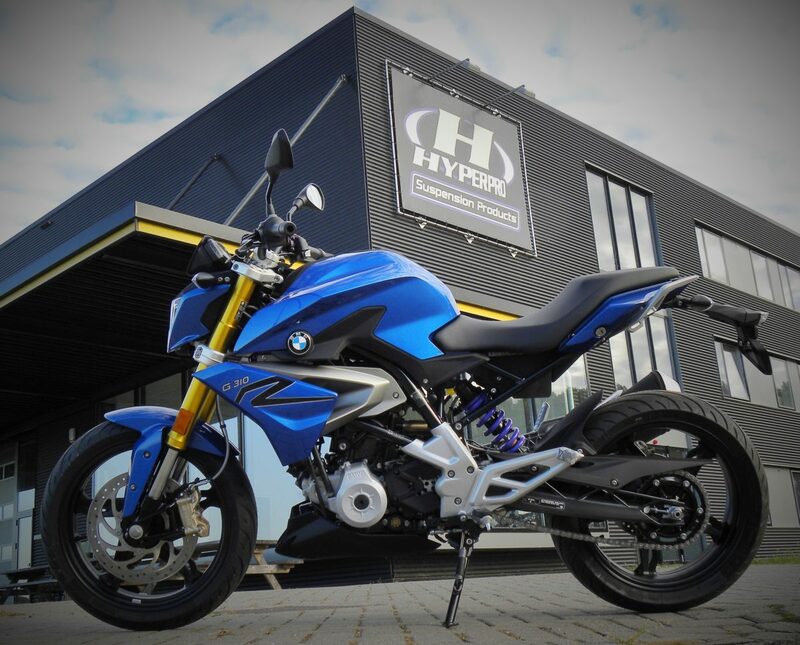 For this motorcycle Hyperpro has developed an extensive range of suspension products. As a first step Hyperpro developed a progressive spring kit which replaces the original fork springs and the spring on the OEM shock absorber. This spring kit improves cornering and comfort and reduces brake distance. 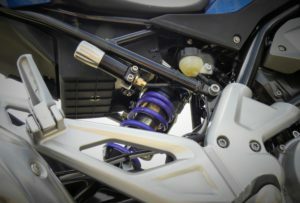 For the demanding rider Hyperpro also developed an emulsion shock absorber and a fully adjustable shock absorber which offers adjustable rebound and adjustable high / low speed damping. The Hyperpro Streetbox offers the best value for money as it combines the progressive front springs with the 460 emulsion shock absorber. This combination assures great handling and comfort at the best possible price. A lowering spring kit is being developed and will be presented on a short notice. More info on info@hyperpro.com or with your local distributor!